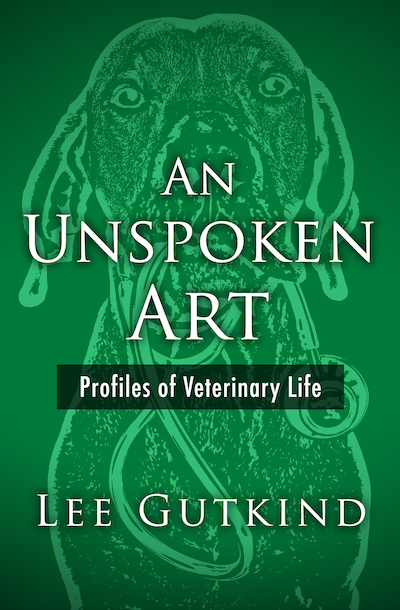 Lee Gutkind, the godfather of creative nonfiction, explores with warmth and sincerity the worlds of modern-day veterinarians—from practitioners operating on Manhattan’s Upper East Side to those working knee deep in mud in the English countryside. Gutkind profiles the men and women who have devoted their lives to the care of animals, almost all treating their patients with more humanity and compassion than physicians in human hospitals do. He writes of the people who do not bat an eye at sharing a bed with their dogs, and of those who spare no expense when it comes to the well-being of their pets. An Unspoken Art is an insightful look at the individuals who dedicate themselves to the care of creatures, and of the enduring bond between people and animals.